At ActiveState we have been in the open source languages space (serving the communities of Python, Perl, and Tcl) for almost 20 years. We’re now in our third iteration of ActiveState: the first iteration was acquired by Sophos for PureMessage in 2003, and our second iteration was acquired by HP Enterprise for Stackato in 2015. Throughout those iterations, we’ve continued to build and support community and enterprise editions of Python, Perl, and Tcl. We knew as we embarked on our third journey as a company (starting in August of last year) that we wanted to focus on open source languages, support, and tying our company together as a cohesive place supporting cohesive solutions. For those of you keeping an eye on us, you’ll have heard that early last week we announced we will be building ActiveRuby™, ActiveNode™, ActiveLua™ and ActiveGo™ in 2017. This will be the first of four posts outlining why we chose the languages we are adding on, and will help readers understand why we are THE Open Source Languages Company. If we narrow down the historical language trends in the RedMonk article, we can see that Ruby is right up there with Python in popularity (and has been for many years). Perl is seeing a slow and steady decline. However, as a company that supports Perl actively to a large enterprise base, we can attest that indeed that decline is likely less drastic than we see below, with new customers coming to us every month for Perl (and almost 100,000 downloads of ActivePerl Community Edition going out monthly, too). 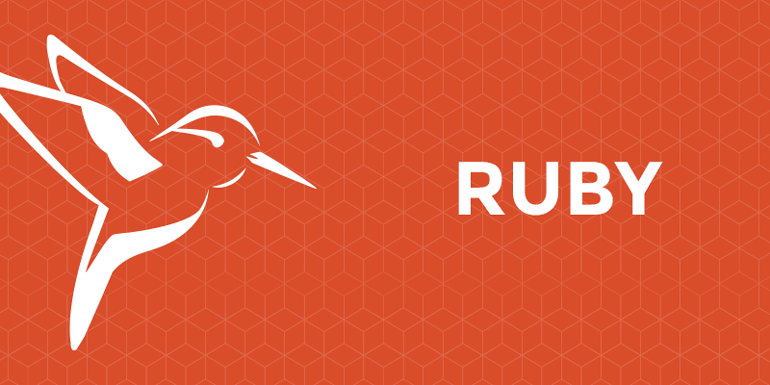 Ruby is tied closely with Perl historically, and as more customers (and community users) continue to confirm its longevity as a language, we want to be there to help foster growth and support community and enterprises along the way. And it’s more than just the RedMonk stats. According to Gartner, “open-source software (OSS) industry saturation is complete: today, 95% of mainstream IT organizations leverage nontrivial open-source software assets within their mission-critical IT portfolios — whether they know it or not.”1 We see these users daily, and have been told that Ruby distributions and support is definitely something that is needed. All that being said: we’re proud to say that in 2017 we will be providing a community- and enterprise-ready Ruby distribution on a variety of platforms, shaped in part by the feedback we receive from the community, enterprises, and, well, people like you. ActiveState Komodo IDE (and open source Komodo Edit) already supports Ruby (and Rails) and has for over a decade. Our intention is to make Ruby stronger–both internally in our offerings, and also for the community that has rallied around the language for so many years.